Unfortunately, it isn’t super rare for wildlife to have random objects attached to it somehow. For example, this seagull in japan seems to be unaffected by the, what appears to be, rolled up piece of paper stuck in its neck/head area. Apparently, officials were going to try to remove it, but because the bird still appeared healthy, they will just keep an eye on the bird for now. 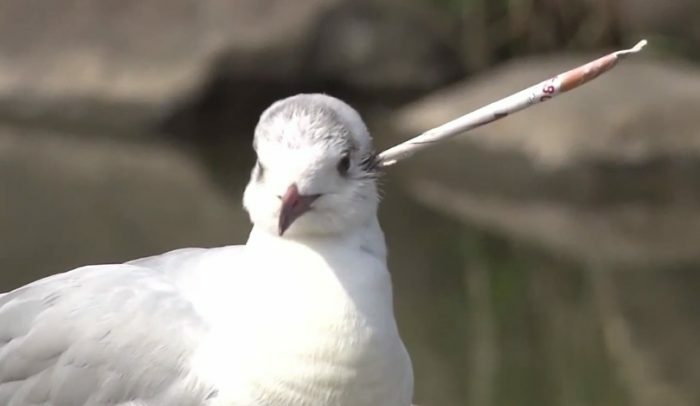 A reminder of why you shouldn’t litter or shoot at animals with paper darts.